In 2017, 65% of recruiters cited a general shortage of quality talent as their most significant recruiting challenge, and things have only gotten more difficult since then. The average job posting receives about 250 responses, and that number is slowly decreasing due to shrinking apply rates. At the same time, the vast majority of recruiters still report that their job offers are being accepted at rates of around 90%. The upshot of all of these numbers is that while many recruiters essentially have their pick of those who at least enter the interview process, the total number from which eventual hires are being drawn is going down. Is this necessarily a problem? Yes and no. On the one hand, there’s no reason to believe that the average quality of applications is going down, so the probability of finding a suitable or even great new hire is probably not effected too much in most cases. That said, if this trend continues as the so-called “war for talent” heats up, the success of your recruiting strategy may come to depend more and more on your ability to source larger quantities of candidates than the competition. This is already beginning to take shape in more competitive hiring markets like tech and IT, where companies are actively wooing top candidates with extensive perks and benefits. In order to keep recruiting effectively in this era of increasing competition and decreasing apply rates, recruiters need to take steps to preserve the health of their talent pipelines and keep a steady flow of high quality job applicants. To that end, a well defined employer brand is going to be a more important asset than ever. Your employer brand can have a huge impact on a candidate’s decision to accept a job or even to apply in the first place, just as a weak employer brand can actually make it more expensive to hire and retain top talent. It is one of the primary tools by which you can begin to establish your business as a top employment destination for your key talent demographics. To successfully craft an employer brand that inspires candidates to apply, start by considering your employee value proposition (EVP). What non-monetary benefits (the chance to learn from experienced mentors, a collaborative work environment, the chance to make a difference in your field, etc.) are you offering to those who work for you? This will form the cornerstone of your employer brand. From there, you’ll create a narrative that helps future applicants envision themselves working for you, and gives them a sense of what taking the plunge into your application process will mean for them. Now, as you’re thinking about your employer brand you may be wondering how, exactly, it will translate into increased apply rates. After all, telling a story about your brand as an employer doesn’t do very much good if that story doesn’t cause people to take action. This is why it’s crucial to make sure that your employer brand is spread far and wide, and make sure that it’s reaching your target recruiting demographics. In this way, employer branding becomes a powerful tool for candidate sourcing—i.e. taking candidates from the awareness stage of the applicant journey to the application stage. In the past, many businesses have been content to source their candidates largely through traditional recruitment platforms like Craigslist and Indeed. With apply rates falling across the board, this is no longer a viable strategy. After all, only 20% of people are job seeking at any given time—even though most people who aren’t actively job seeking would change jobs if the right offer came along. To reach the other 80%, who aren’t using the classical recruitment platforms that the active job-seekers frequent, it’s crucial to go where they are and reach them with your employer brand on the platforms that they’re already using. 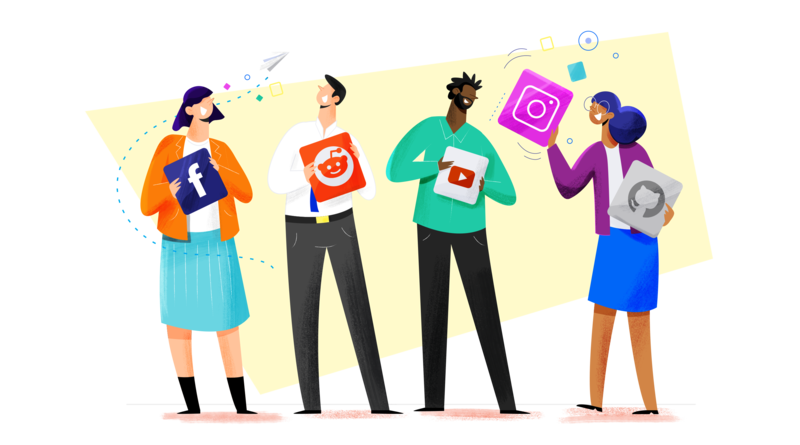 This will vary industry to industry and position to position, but social media platforms like Facebook and LinkedIn, as well as niche channels like Reddit, Stack Overflow, and others are used just as frequently by the passive 80% as the active 20%. Passive job candidates often won’t engage with your brand at first touch, but as they continue to encounter your employer brand and come to know your story better and better, many of them will enter your applicant funnel. In this way, you can find and source candidates that other companies (those who only use traditional platforms for their sourcing) can’t reach. As a result, you can keep your apply rates relatively high even as competition for talent grows more and more intense. We mentioned at the beginning of this article that the average job posting received about 250 responses. Now it’s time for a pop quiz: how many applications does your typical job posting receive? If you can answer this question off the cuff, then you probably don’t need to read the rest of this section. If you can’t, then it may be time to start grappling with one of the most pressing realities of the current recruitment landscape: the importance of tracking applications from first touch to job offers. If your company has a high enough level of visibility into each application that you can say with reasonable certainty what your apply rates are, what your average time to hire is, and what your conversion rate is from each point in the funnel to the next, then you can effectively gauge how well your recruitment efforts are working at each stage, and how your metrics are changing over time. In this way, you can determine, for instance, if your apply rates are decreasing or staying strong. Likewise, you can measure the success of any long term efforts to improve your apply rates through stronger employer branding or other means. If you can’t track these things, then you’re stuck in the dark when it comes to measuring your effectiveness against ongoing trends in the talent market. In the long term, this lack of insight will make it difficult to improve your recruitment funnel, causing you to lose out on qualified candidates who might not be applying at the expected rate. This, ultimately, is what the current job market—dropping apply rates and all—means for recruiters and recruitment marketers: that a systematic, consistent, and analyzable approach to employer branding and talent sourcing is more crucial now than ever.